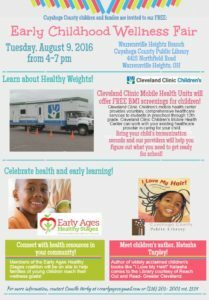 Join the Council for Economic Opportunities at the first Early Childhood Health and Wellness Fair, coming up on Tuesday, August 9 from 4-7 at Warrensville Heights Public Library! (4415 Northfield Rd. 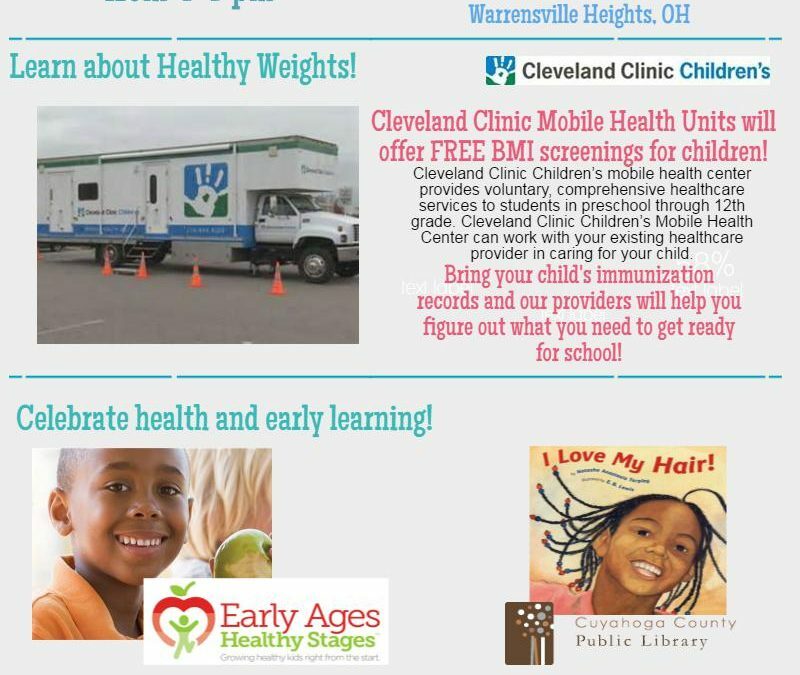 Warrensville Heights, OH) Meet the Council team, learn about and enroll your child in one of our high-quality Head Start centers, enroll in upcoming workshops and find out how the Council can help you. This event is free and open to all Cuyahoga County families. For more information, contact Camille Herby at ccearlyages@gmail.com or (216) 201-2001 ext. 1514.